Announced last February at the New York Toy Fair, the wicked 24″ long Batmobile from Batman: The Animated Series is finally going into production. Its headlights, cockpit, brake lights and engine exhaust lights are powered by three AA batteries. It also has a moving windshield and wheels, and has room for two 6″ figures. 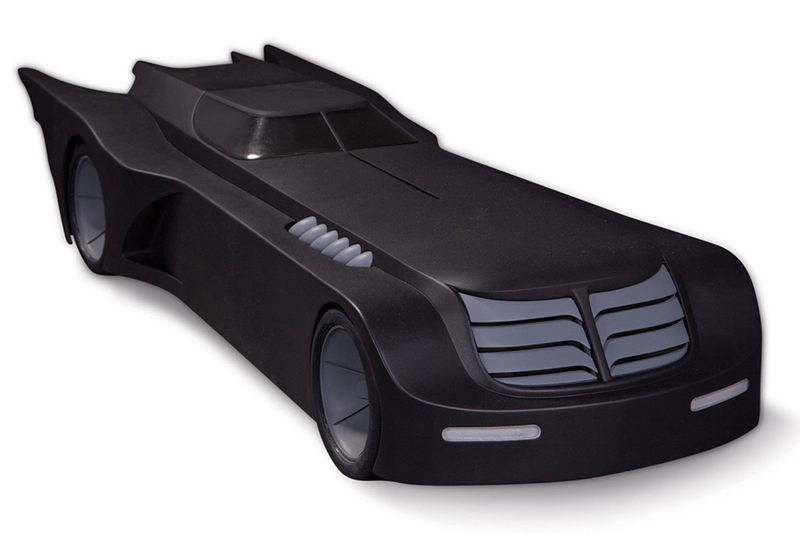 You can pre-order the Batmobile from Amazon for $100 (USD). 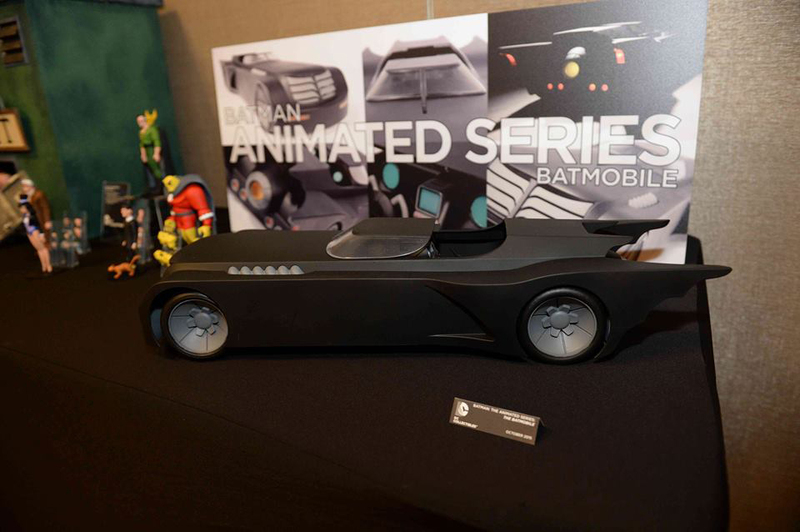 Go to SuperHeroHype to see a few shots of the toy on display at the San Diego Comic-Con.